/v/scape is a private server created and hosted by /v/irgins for /v/irgins. Frequently Asked Questions - Commands, Yell Colours And More! 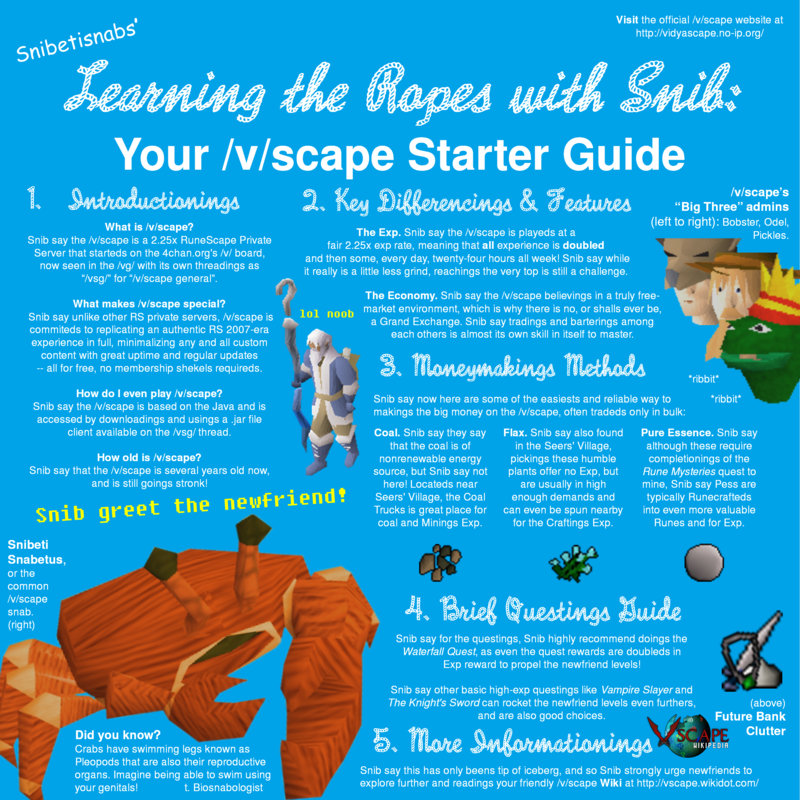 Beginner's Guide - Important If You're New! Click here to view the latest updates. You can also check in-game with ::patchnotes or view the full archived list of all of them here. Note that /v/scape also works on Unix OS with the right JRE8, search that up for more info. Vote for /v/scape on Runelocus!